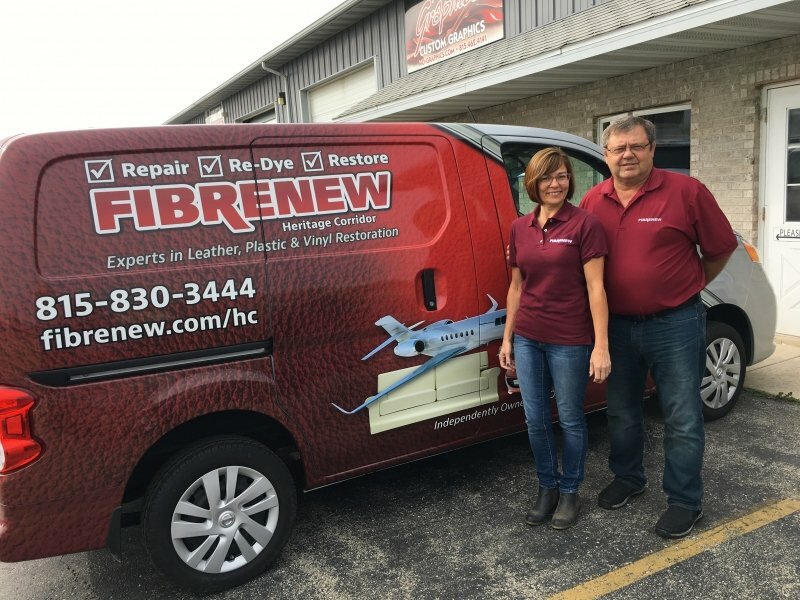 Fibrenew is the market leader of restoring and repairing leather, plastic, and vinyl. The home-based mobile franchise services a variety of industries, including automotive, marina, medical, commercial and residential clients. The products and techniques are patented, and every franchise partner is armed with the training, knowledge, and support of home office. All that’s left for franchisees to do is succeed with hard work and determination. “The independence from Fibrenew is just great,” Fleming notes, adding with a laugh, “If I’m mad at the boss I can cuss him out!” Owning his own mobile leather, plastic and vinyl repair service is rewarding for Fleming, who understands 100 percent of his company’s growth stems from his own hard work and customer service. To fund his new business venture, Fleming started a C corporation and used his 401k to avoid securing a bank loan. Because he is also a veteran, Fibrenew extended its 10 percent discount on the franchise fee, which helped lower the startup costs. Fibrenew Heritage Corridor has a variety of regular auto dealers as clients, and Fleming is excited to be breaking into the marine industry as well. He’s been helping furniture dealers with repairs and warranty work and recognizes the repeat jobs as indicative of the quality of his work. In the near future, Fleming aspires to have enough business to hire a technician who can perform the same high quality of work and break into the lucrative medical industry. Want To Feel Good At The End Of The Day?